Lakers receive #3 seed in Section 2AAAA playoffs, will host Chanhassen to Kick Off 2018 Playoffs. 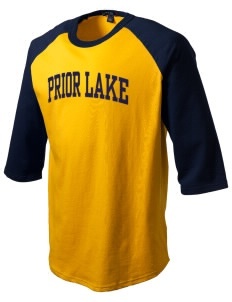 The Prior Lake Lakers, who finished the regular season as South Suburban Conference champions with a 16-4 overall record, were awarded the #3 seed in the section 2AAAA playoffs based on the QRF formula and will host #6 seed Chanhassen May 29 at Memorial Park at 7pm. The section tournament is has a double elimination format with the winner qualifying for the state tournament. The Lakers have not faced the Storm this year but played them on the final day of the regular season in 2017, a 5-3 Laker win. 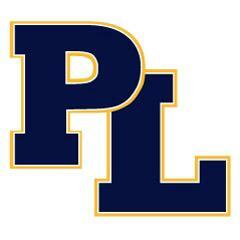 Prior Lake’s seed for playoffs was up in the air during the final week of the season. After they clinched the SSC title May 21, the Lakers closed the regular season with a doubleheader at Shakopee May 23 and a single game at Edina May 26, both section foes. The Lakers were able to split with the Sabers May 23, dropping the first game 6-5 in 11 innings before winning game two 3-0 and dropped a 9-5 non league game vs Section 2AAAA #1 seed Edina Hornets, also the Lake Conference Champions for 2018. Junior pitcher AJ Lattery got the start in the first game, going five innings and giving up four hits to go with six strikeouts. The only runs scored against Lattery came in the first inning after a pair of singles, a walk and a sacrifice fly. The Sabers led 2-0 after one inning. The Lakers struck back with two runs of their own in the fourth inning. Senior catcher Ryan McDonald was hit by a pitch and senior first baseman/outfielder Corbin Cross singled on hard groundball up the middle to get the offense going. Sophomore first baseman Jonah Hoeg then laid down a perfect sacrifice bunt down the first base line to advance the runners. Senior shortstop Mitch Goodwin then grounded out to short to score senior Matt Schmidt, who courtesy ran for McDonald, and junior outfielder Alex Wattermann lined a single into right field to score Cross and tie the game 2-2. The pitchers on both sides then settled in, with the game going into extra innings. Sophomore pitcher Jett Heinen did yeoman’s work out of the bullpen, throwing five innings in relief of Lattery, only allowing four hits and one earned run, while striking out four. Prior Lake took a 4-2 lead in the top of the tenth on a two-run homer by McDonald off of the large pine tree in left-center field after Cross led off the inning with a single. The Sabers were able to answer in the bottom of the tenth however. With two men on and one out, Shakopee shortstop Payton Chase hit a fly ball fell in front of right fielder who could not field the ball cleanly, allowing both runners to score to tie the game and Chase to reach third with only one out. Heinen was able to escape the jam and keep the game alive however by getting a groundball with the infield in and a strikeout to end the inning with the score tied 4-4. Goodwin got the lead back for the Lakers at 5-4 with a leadoff home run in the eleventh. With Heinen’s pitch count climbing, Prior Lake skipper Greg Nesbitt made a move to the bullpen, bringing in tall, junior left-handed pitcher Russ Tanner in from the bullpen. Tanner got a popout but allowed a single and a pair of walks, prompting Nesbitt to make another move to the Laker pen for senior right-hander and St. Thomas commit Cameron Bunkers, who was slated to start game 2 on the mound. Bunkers got the first batter to strikeout swinging but Sabers first baseman Sam Meyer was able to poke an outside pitch into shallow left field, to drive in the tying and go-ahead runs, giving the Sabers the walk-off win 6-5. Despite finishing the first game on the mound, Bunkers got the start in the second game and was dominant, throwing six shutout innings and gave up only three hits. With offense at a premium, the only runs of the game came in the sixth inning. McDonald led off the inning with a hard single to center followed by a perfect bunt from Cross. The runners advanced to second and third when the throw went over the first baseman’s head and scored on another hard single to right by Wattermann, who had a huge day at the plate over both games. Wattermann scored a few batters later when sophomore third baseman Henry Emmerich hit a double that landed perfectly on the left field line, giving the Lakers a 3-0 lead that would end up being the final score. Schmidt recorded the final three outs and earn the save. The Lakers dropped the final game of the regular season 9-5 to Edina May 26, a scorcher with temperatures in the upper 90s in a matchup of SSC Champion PL versus the Lake Conference Champion for 2018, Edina Hornets. Prior Lake took advantage of early mistakes, using a pair of hit by pitches and a walk to load the bases in the first inning. Goodwin lined a hard single to left to score the first run and junior outfielder Sam Tanner reached on an error, allowing another to score and give the Lakers a 2-0 lead after a half inning. The Lakers could not do much after that against Edina starter Richie Holetz, who ended up pitching six innings for the Hornets. Senior pitcher Simen Restad got the start for the Lakers. Edina got to Restad in the third inning. After a pair of walks and a pair of strikeouts, Edina got an RBI single from Drew Schmidt and a two-out two-RBI double to deep left field by Andrew Enck to give the Hornets a 3-2 lead. The Hornets added a run in the fourth to make it 4-2. The big blow in the game came in the sixth inning. Freshman pitcher Connor Wietgrefe came in, making his varsity debut, walked three and did not record an out as a run scored on an error to increase the lead to 5-2. Wattermann then came on, getting a pop out and forcing a grounder back to the pitcher that looked as if it were going to be a double play to end the inning but after throwing home for the force at the plate, McDonald’s throw to first sailed into right field allowing another run to score. The Hornets were able to add a couple more runs in the inning to push the lead to 9-2 but it did not end without fireworks. As the Lakers threw out a Hornet baserunner Matthew Enck at the plate to end the half inning, McDonald got an arm to the face that seemingly lit a fire under the Lakers. With Holetz out of the game, presumably due to the big lead, the Lakers took advantage of the Edina bullpen, fighting back to score three runs and cut the lead to 9-5. Prior Lake had the bases loaded with the tying run at the plate but Goodwin flew out to center to end the game. Following the win, the Hornets were awarded the top seed in the section based on the QRF followed by Minnetonka, Prior Lake, Shakopee, Eden Prairie, Chanhassen, Bloomington Jefferson and Chaska. Shakopee leapfrogged Eden Prairie and Bloomington Jefferson jumped Chaska based on having better overall records being within the tiebreaker margin of 7.3 points. All section 2AAAA first round games will be played at the high seeds May 29 at 7pm. The winner of #3 seed Prior Lake and #6 seed Chanhassen will play the winner of #2 seed Minnetonka and #7 seed Bloomington Jefferson May 31 at 7pm. The losers of both games will play an elimination game at the same time and date. The Integra PL Hardball Hotline will try to follow Lakers Playoff action in 2018!